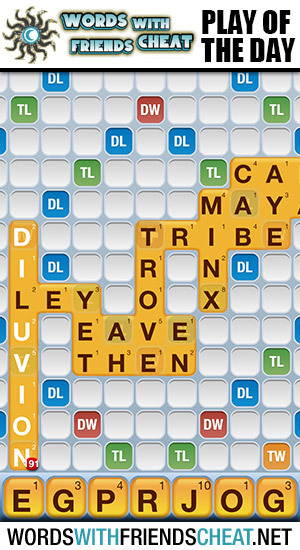 Today’s Words With Friends – Play Of The Day is DILUVION (191pts) and was submitted by Words With Friends Cheat user Mark. Mark laid this extraordinary word on top of a hefty set of bonus tiles. Triple letter, double word, and triple word. He also used every every letter in his rack to earn the additional bonus. What a great play!